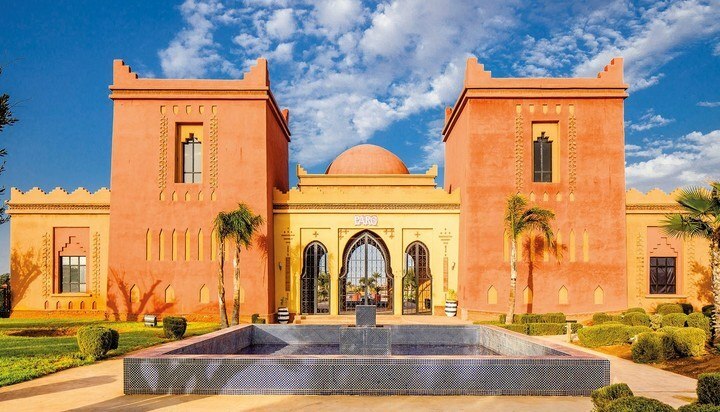 Red baked-mud medina palaces beneath the snow-capped High Atlas and a powder-pink ring of ramparts around 19 kilometres of seething souqs, Marrakech is Morocco’s most memorable experience. 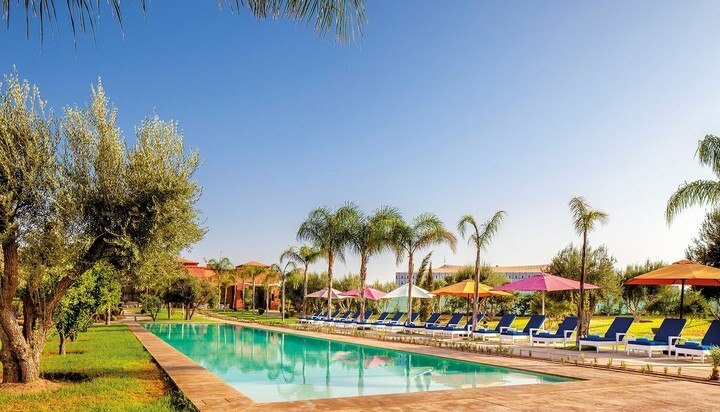 Located in Marrakech, Le Vizir Center Park & Resort is a family-friendly resort accommodating its guests in comfortable apartments, and offering a range of activities and swimming pools including one private for women only. Swimming Pools: Property has 2 outdoor pools mixed for families and kids pools. Separate 1 outdoor pool is private for the use of women only. 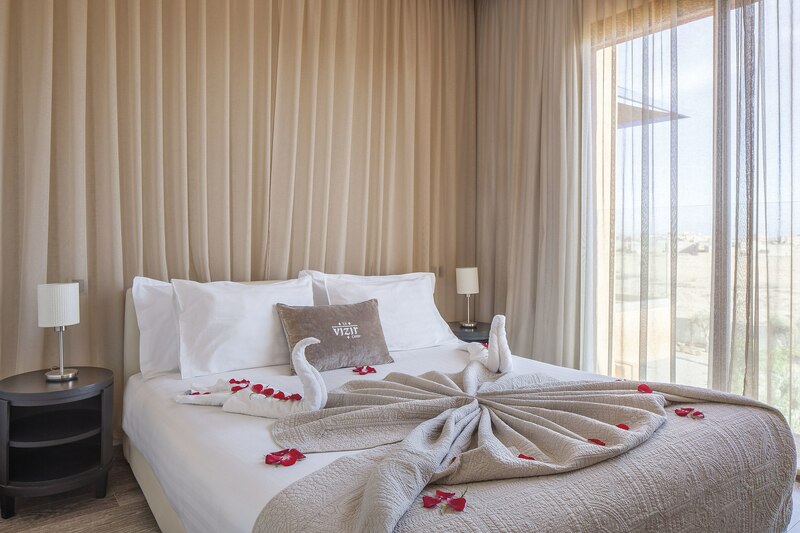 Health & Spa Relaxation: Spa and wellness centre, fitness centre, solarium and massage rooms. The property is also set on a park and ideal for cardio activities. Sports & Leisure Activities: Includes hiking, tennis, archery, table tennis, darts and mountain climbing. Entertainment: Summer season daytime activities and evening entertainment on certain days. 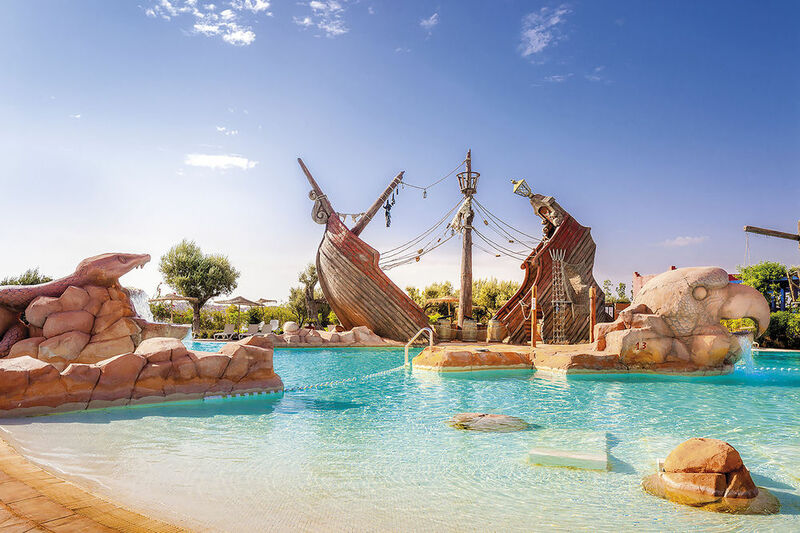 For Children: Kids’ club (3-12 ages), kids’ animation shows, kids’ poolside activities, playground and kids pool. 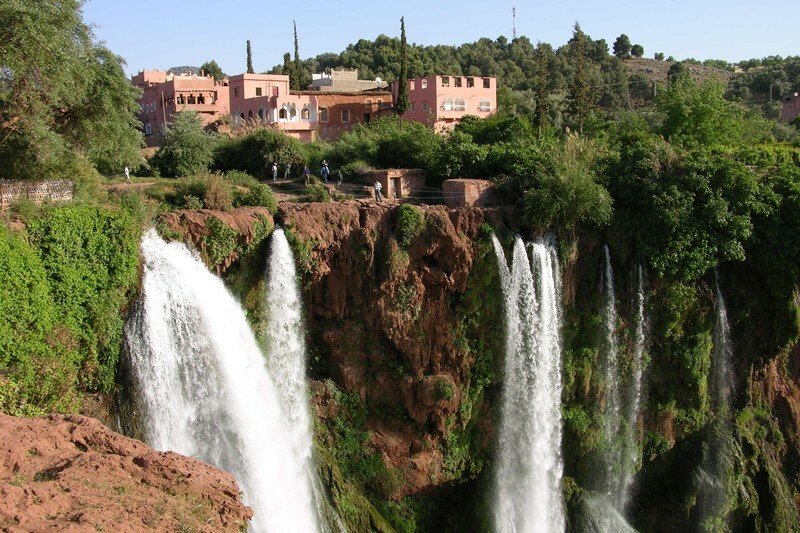 Enjoy a wonderful day in the Atlas Mountains and take a deep breath while admiring the beautiful Ouzoud Falls. 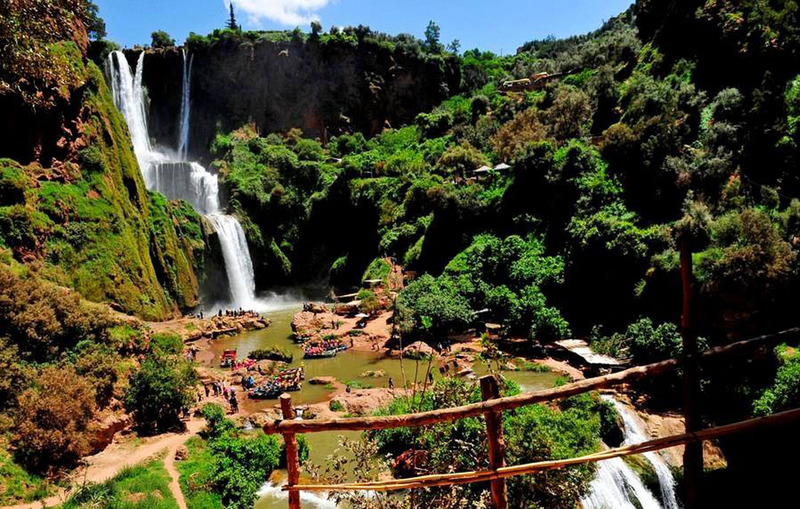 Located about 95 miles (150 km) northeast of Marrakech, this 330-foot (100 m) waterfall is an exceptional destination in the Moroccan area. The name Ouzoud means “olive” in Berber, and it’s likely in reference to the nearby olive trees. Here, you’re also able to watch Barbary macaques in their natural habitat, swinging from the olive branches and searching for food. From carob trees to the old mills at the summit of the falls, there are plenty of opportunities to sight see and relax peacefully. You’re able to enjoy plenty of free time for exploring this beautiful area, as well as eating an optional lunch (additional cost). 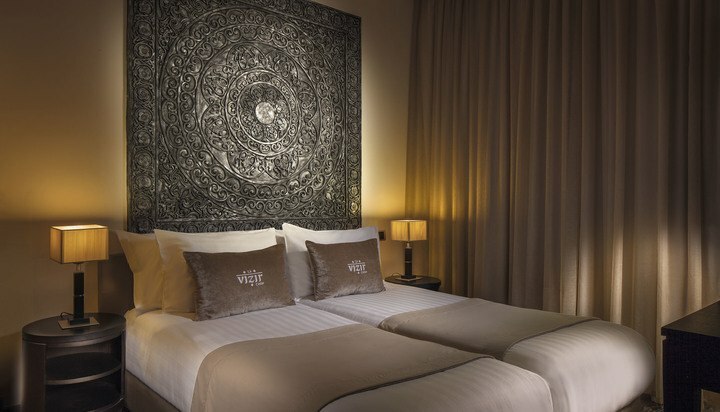 Prices are subject to availability at the time of booking. Please note this is a package is not part of any group tour. Please contact us for a tailored quote using the form on the right. Booking is secured upon receipt of 100% payment. 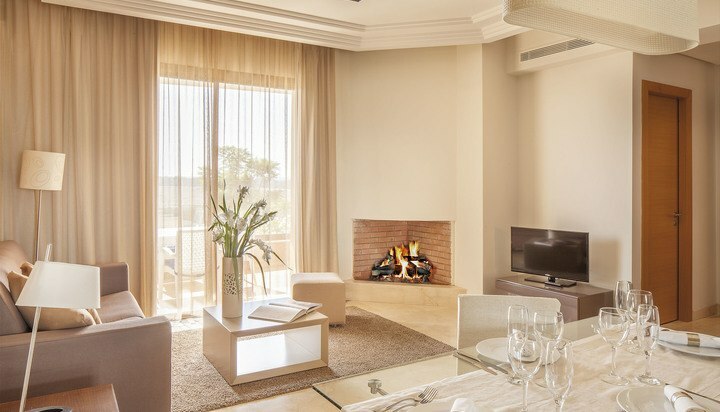 We work hard to ensure our experiences leave you inspired and ready for your next journey with us. Driving to the airport? Save on parking with Pure Parking!